When traveling in and around Miami, no need for planes or trains…just automobiles! 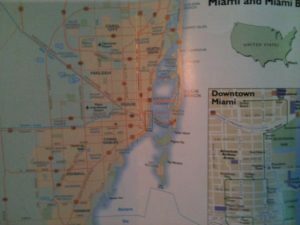 Have you ever just looked at the tourist map for your metro area and realized the number of tourist destinations residing within an easy drive-able distance from your home? I recently set out to see the sights of Miami. I live in a cultural mecca. Miami is a metropolitan hub filled with beaches, outdoor shops, attractions, gardens and more. Yet, we rarely visit these sites that others consider must-stops on their vacations. Comfortably seated in a 2011 Chevy Cruze the 4 of us hit the road in search of something super Miami-like to do! We drove around, admired the scenery and ate lunch at Montys – a very Miami-like Coconut Grove seafood restaurant! 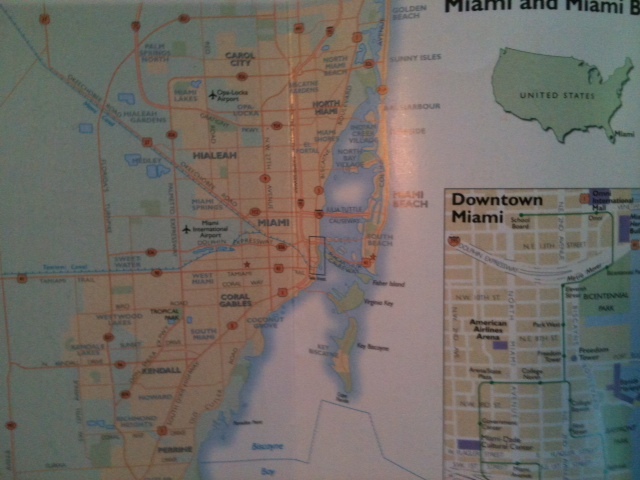 At lunch we looked through a Miami tourist book & map. We couldn’t believe the number of tourist attractions we had yet to explore! Together we came up with a list of where we wanted to go the following Saturday! With just some easy planning, this Smart Family can make a Saturday afternoon feel like a mini vacation rather than just another weekend filled with errands! Held on the third Saturday of each month, join us for “Book Nook by the Bay” where the Estate’s Eco-Brigade and volunteers/staff from our partner organizations open the rich resources of the Estate to the public for family story time, on-site eco-arts and crafts, science programs and more! Each month, the Estate offers to the public an environmentally themed topic, story-time and a host of activities. This museum is a popular school field trip destination – which typically means there’s a lot to learn here! 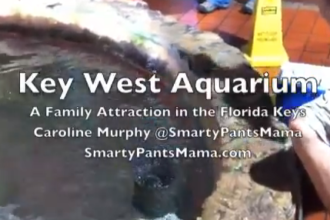 The Miami Science Museum sets its mission to “inspire people of all ages and cultures to enjoy science and technology, in order to better understand ourselves and our world.” An assortment of shows and demos are highlighted on their site – including Wildlife Encounter, Two Pieces of Glass: The Amazing Telescope, and Sea Lab. On first Fridays they offer a FREE Planetarium Star Show followed by a laser show. Sounds great! This Italian Renaissance-style villa is a National Historical Landmark. A visit here would include perusing the ten acres of formal gardens, enjoying the museum and more! 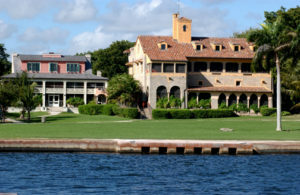 Vizcaya was built in the early 1900’s for James Deering a successful Industrial & Agricultural Executive. A picnic in the gardens and some great photos would be a great way to spend a Sunday afternoon as the weather gets cooler in Miami! We’ve driven through it many times, and even done an airboat ride. But that was pre-kids. Now I’m ready to experience this infamous river of grass with the kids! The park is the 3rd largest in the country and covers 1,509,000 acres. Airboat rides, camping and other recreational activities are available throughout the park. Awesome wildlife can be found as well! 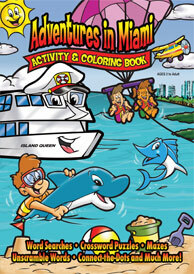 book for the kids about all things Miami! It makes a great gift for families living in or traveling to the area! The coloring book is also available at many local Walgreens. They are sold for just $4.99. 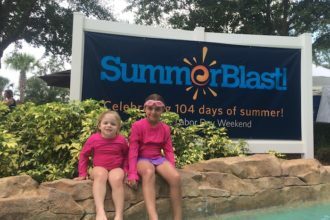 Plus, visit Miami Munchkins http://www.munchkinfun.com for a complete listing of events for the family in and near the Miami area! 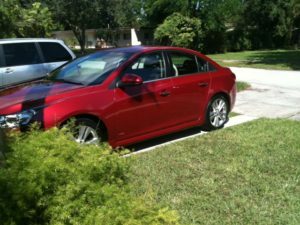 Thank you to @ChevyFlorida for providing a 2011 Chevy Cruze to use for my Cruising with the Cruze: Hitting the Local Tourist Spots weekend. All opinions are unbiased & my own. Miami Science Museum laser shows which were the highlight of my teenage years – many Friday nights spent lying on the floor listening to Pink Floyd and watching the stars – in the air conditioning – with lasers too. Great stuff.